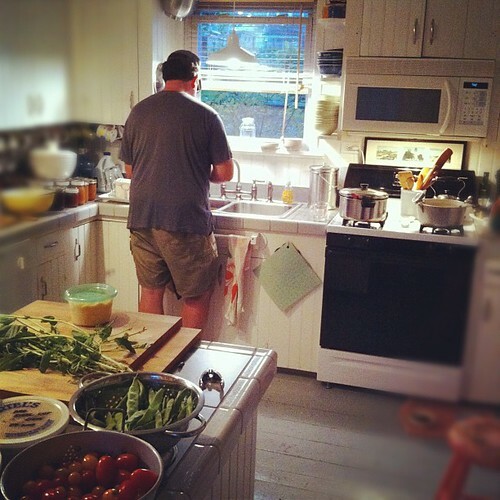 Yesterday, Alex spent his non-working hours, working in the kitchen. He checked on the wine he started a couple of days ago (it's gurgling away nicely), he canned some grape jelly, has made several peach pies, using our peaches, and he made up a batch of raw milk mozzarella cheese that we ate for dinner. His pies are so good and peach pie is probably my personal favorite. So while I spent my day switching over the summer clothing and home decor from summer to winter and starting some of the fall cleaning, Alex made us good things to eat. 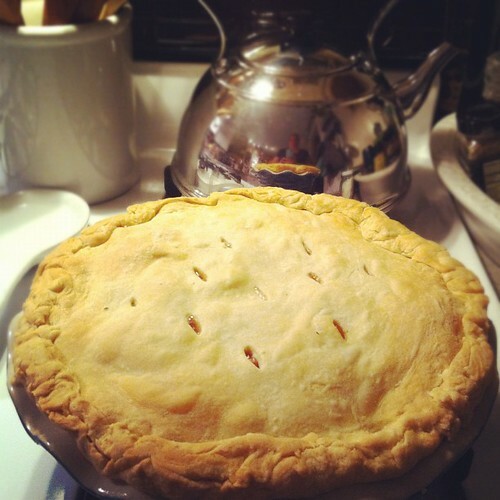 The house was filled with cozy smells of simmering fruit and butter pie crust baking, and as I draped the wool tartan blanket over the rocking chair, it was like welcoming and old friend. Hello, Autumn House, welcome back. It's so nice to feel your warm and cheery embrace, again.